(June 12, 2013 – Brooklyn, NY) Man Bites Dog Records is proud to announce the newest addition to the ever expanding label, rapper AG Da Coroner. The Brooklyn native is the first artist signed by Vice President and Director of A&R Roc Marciano, who joined the label in April. AG Da Coroner’s debut album, Sip The Nectar, will feature production from Harry Fraud, The Alchemist, Statik Selektah, ATG, Stu Bangas, Skammadik, Ice Rocks, D.C., Vanderslice, and Nappanot, and will be released later this year. Please contact Michelle or Dan if interested in talking with Man Bites Dog Records. Passionate about music and with an ear for discovering great talent, R.M.L. formed Man Bites Dog Records in 2005 in Northern Virginia, a few short miles from Washington DC. In an area dominated by GoGo Music, it was the goal of MBDR to offer an avenue for local hip-hop talent. The label quickly grew beyond the confines of the local scene, however, as MBDR began to release project from the likes of Copywrite, Vast Aire, and others. Since then, it has been MBDR’s goal to sign artists who create classic music – music that stands the test of time – in genres ranging from underground New York hip-hop to funky pop. Currently, MBDR’s roster includes Killah Priest, Copywrite, Vast Aire, MHz Legacy, Jakki da Motamouth, Stu Bangas & Vanderslice, Esoteric, Wais P, Bronze Nazareth, Crimison Gods, Kount Fif, Empuls, Last Bison, Jason Rose, Brink, Red Mud, Sinista Daniro, Dom, Jay Notes, and The Swashbuckler. 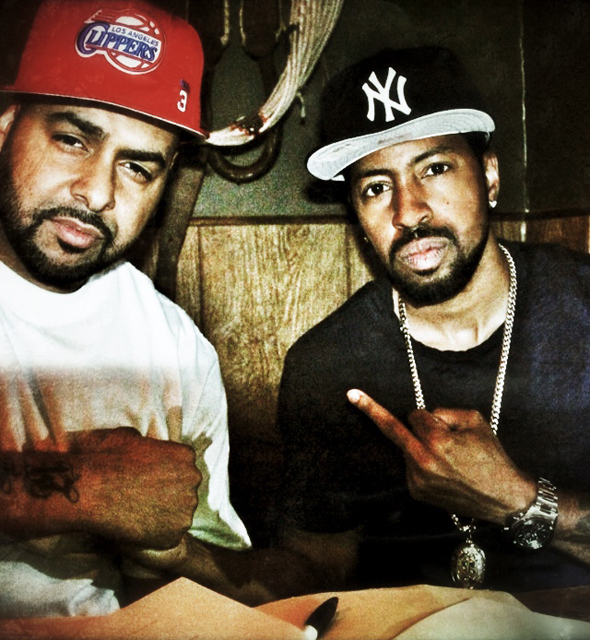 In 2013, Man Bites Dog Records announced a partnership with Roc Marciano with the the rapper joining the label as Vice President and Head of A&R.